As a conscious minded business person, your goal is to provide the highest quality products and services in the most efficient, sustainable methods possible, with customer satisfaction and healthy profit.. But what happens when challenges come up that rock your world? Our knee-jerk reactions take over. Big Time. While some reactions can be effective, most are not. Intuitive Development plays a critical role in catching those gut-wrenching situations and transforming them into effective learning experiences. The caveat here however, is that we must be willing to re-frame how we look at ourselves and stress. 1. Rule number one in intuitive development is to breathe. Over time we learn to look at breathing in a whole new way: slowly, deeply, consciously and deliberately. This kicks us out of the “fight or flight” sequence and gets us connected back to our body wisdom. Otherwise, the huge rush of chemicals released in the body can take over our perspective and we all know what happens… we react (based on the past) rather than respond (based on the present). Without taking time to breathe, we simply repeat old patterns again and again. We’ve heard this a million times… breathe deeply and slowly, but are we actually doing it? TIP: Use association. Choose something that happens frequently and use it as a reminder… for example…. every time your phone rings, use it as a marker to check-in and breathe slowly, deeply, consciously and deliberately before you answer it. 2. How would you feel if everything was really okay? Our intuition has access to the bigger picture that the five senses don’t. Just take a look at nature’s beauty and perfection – there’s an invisible harmony that runs our world – when we breathe into that inner harmony, we operate from a success minded perspective. Our job becomes less fear-driven and more purpose driven; by allowing this inner harmony to emerge through us, we become aware of possibilities we didn’t see before.. We think more clearly. Intuition draws from this creative space while fear prevents our access to it. TIP: Re-frame stress as a signal to refocus on the inner harmony already inside of you; it builds supreme self trust and improves the thinking process. 3. How would you act if you were already successful? Ask this simple question in any situation and see what happens! You’ll feel instant relief and guidance and find it easier to drop ineffective thinking patterns. TIP: Make this question a new practice by using your tea or coffee break to sit with the answers. Be sure to keep a journal handy! 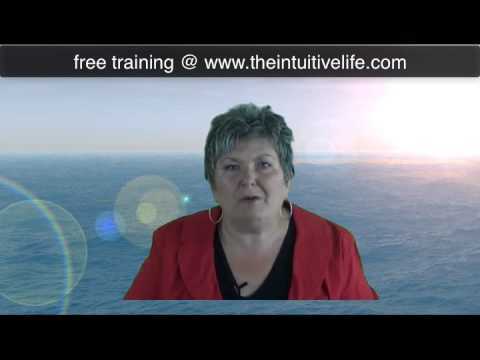 The bottom line: Intuitive Principles reduce stress and add an element of self discovery. They increase profit by creating a new perspective of trust and freeing up stuck energy. Intuitive Development takes time and practice but it’s affects can be felt immediately. Our biggest challenge as entrepreneurs is to give ourselves the same time, care and attention we give to our customers. Start small and build from there… these three simple steps can have profound affects on your business! Cheryl Brewster is a Business Intuitive who provides intuitive mentor programs and workshops to support entrepreneurs in being less stressed and more productive. Your Life Vision – Go For It! Vision… what possibilities can you create, say yes to this year? What is your vision for this year? What plans have you made to incorporate your highest aspirations and goals? Perhaps you’re clear – and perhaps you’re not. But this one thing is certain… as per the quote above, if you don’t go after what you want, you’ll never have it. 1. Defrag your mind in nature; the ocean or the forest provide restorative moments so necessary to good health and a clear mind. 2. Are you focused on solutions or problems? 3. 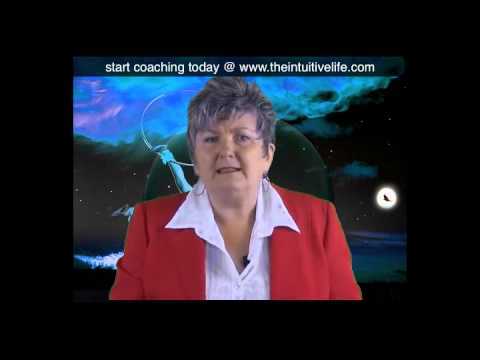 Do an inventory… where are you acting/not acting on what you most want? 4. What are 3 small things you can do today to focus and take action on what you DO want? Notice that where you have gratitude in life, things are probably bubbling along nicely. There’s most likely trust, peace and prosperity in these areas. Notice where you do not have gratitude, that you get into trouble? Is there peace and prosperity in these areas? Are you trusting yourself? Our attention will grow whatever we’re focused on, so get good at going into the “unknown” where solutions exist but may not be apparent yet. As you head into the this month and the rest of the year, what do you want to grow? They key to effectiveness is dropping self discovery and self development. A big part of Visioning is taking time out to breathe and do a quick inventory; it allows us to course correct and get excited about our emerging vision again. Personal effectiveness can only grow as we evaluate and course correct. The key is kindness and compassion – they are relevant task masters by reducing resistance – the obstacle to true growth and change. How can you incorporate kindness and compassion as practical strategy in moving forward? Part of why we don’t go after what we want is because we shut ourselves down… we may see our dreams and goals as too impossible. Kindness doesn’t do that… it allows, invites and shows a different way. It makes peace with the willingness to be in the wilderness of the unknown, where your intuition resides, waiting for you to call on it. Cheryl Brewster is a Business Intuitive and Transformational Coach, assisting clients in digging deeper to live truly authentic, effective lives. To stay current with upcoming Visioning events and to be receive daily inspiring quotes; there are two places to sign up on her website…. or to explore an intuitive session or coaching program, contact here. Are you having trouble with making a choice or decision? Well, whether it’s something specific or an ongoing issue I want you to know that YOU have ALL the answers you need. To EVERYTHING in your life. But all too often we literally block ourselves from the answers we need. We get in our own way because we’re afraid. One of the most common fears is a simple fear of uncertainty and the unknown – but it could be a fear of failure, fear of upsetting others (guilt), a fear of what others will think of us, or even a fear of success. All of these fears and more can stop our minds from giving us the answers we need – a simple self-protection mechanism to avoid difficulty and keep us safe. Clever eh? So, you need answers? Let’s get started! 1. Give yourself FULL permission to KNOW the answer and TAKE NO ACTION. In fact you never need to act on it – you can decide later. Take a moment to absorb this fully before you move onto Step 2. TIP 1: Remember, you don’t need to act on it. Just answer the question – as if you SECRETLY knew. TIP 2: What we’re really doing here is asking your intuition – knowledge that comes from your gut, instinct or simple ‘knowing’. 3. Breathe deeply. Let the answer arise. Then, once you have your answer, awesome! Give yourself a pat on the back and for now, just sit with your answer and let it be. Still no answer? That’s OK – trust and have patience. Give yourself until the end of today or the end of the week. Then just let the answer ARISE from within – imagining it rising from the depths of your true being. Perhaps it’s been hidden away and just needs to feel safe to come out – so give it a little space and time! Remember: To get around the fear remember that just because you know something doesn’t mean you need to act on it. In fact you can know something and stay exactly where you are. Safe. You can use this question any time to get the answers you need. Taking action may come later, but first you need to know. And once you know, everything else will follow naturally. Emma-Louise Elsey is a Salt Spring Island, Canada based life-coach, writer and spiritual entrepreneur. She is the creator of “Life Coach on the Go!” If you like self-development, you’ll LOVE having your very own life coach on the go! Find tons of Bite-Sized Articles, Tips, Worksheets, Inspirational Quotes & Get your Free Life Balance Worksheet at http://lifecoachonthego.com. What would happen to your day? Your relationships? Your past hurts? What would happen to how much you got done? Or the quality of the work and how you did it? What would your experience be? 2. Are you swimming against the current or going with the flow? To paraphrase Hicks: we believe that anyone who amounts to anything has to work very hard, against the current. Turning downstream to go with the flow is labelled as too easy, even lazy. However, here’s the rub: “Nothing that you want is against the current!” The Stream of Life, if we allow it to carry us, is always downstream… the flow of life that we can trust… hence today’s “DARE YA!”. Spiritual awakening – can you let yourself go with it’s flow? “In this moment, am I turned toward improvement or away from it? The emotion you feel will give you the answer.” We’re either choosing to struggle or to flow… it’s that simple. So let’s go back to the challenge of the day and be willing to experiment…. how will you know the power of peace if you don’t actually choose it? No matter what happens… can you let peace be here too, amid the inherent discomfort of painful emotions of spiritual awakening? Take a look at the list of emotions at the top of this article…. how will you know their power if you don’t actually choose them? Helen Keller said that life is a daring adventure or nothing. Despite the physical challenges of being both blind and deaf, this amazing woman became one of America’s most famous educators, and internationally acclaimed inspiring speakers. She accepted her impediments; she let them carry her into her awakening. You do the same, when you allow fear to be here and choose peace anyway. Experiment for just one hour, one day, one week…. in the process of your spiritual awakening…. will you BELIEVE; can you let the flow of life carry you into the present moment where inspired action arises in its own timing? In doing so, you let go of the unconscious patterns contributing to your worry and stress. And let’s face it… isn’t spiritual awakening only possible by choosing to allow peace, happiness and freedom to be here now, even when, or especially when we don’t really feel like it? Cheryl Brewster is a Personal and Business Intuitive, providing Readings and Mentor Programs for individuals experiencing plateaus in life, change and spiritual awakening. She supports entrepreneurs in building their businesses through conscious awareness and hosts Intuitive Gatherings and Teleseminars to build awareness and community. Participants experience first hand, the amazing power of their own intuitive prosperity that always starts as an inside job. www.TheIntuitiveLife.com to sign up for the quote of the day or be a part of newsletters and regular updates. And that can create just a wee bit of angst! Where are you in your angst? Where are you in your vision? Feeling stuck? Feeling scared? Good! Your emotional guidance system is letting you know that something needs to change; something’s growing, it’s ready to POP! It’s time to take an action step that is different from what you’ve done before. It’s time to go deeper into your purpose. What is that for you today? What does your heart tell you? Can you let yourself sit in the dynamic tension of the two, that push/pull struggle…. can you let yourself feel your feelings once and for all, so that something new can arise? This is the path of initiation and commitment, over and over again. The willingness to let go of control of the small self for the peace and knowing of the infinite self. Easy to say, much harder to actually do. I often share the story of how I came into acceptance of my own personal “calling” by kicking and screaming the whole way. Becoming a professional psychic/intuitive was totally beyond anything I could ever have imagined… it went against all of the spiritual, cultural and social/moral beliefs I’d grown up with. And yet… it has led me to a life of purpose, peace and passion that is also beyond anything I could ever have imagined. Living my gifts and talents, is living my best life and supports those around me in doing the same. I would never have known and be able to teach, share and counsel with others if I had not gone through the experience myself. It takes great courage to walk this path of expanding spiritual awareness… and it is SO worth it! What is your heart calling you to? What is that “forbidden place” within you that you won’t look at? Quite often, it’s simply the confidence to listen to our callings…. and of course, this spiritual journey will require change, otherwise the angst turns into suffering. What does your gut tell you? What do you feel in your bones? Have you noticed that when you are inspired, you are happy? And even if things aren’t going great, that inspiration will lift you up and out of those heavy feelings? Because intuition can only ever be available in the present moment, and inspiration keeps us here now, being inspired is one of the most effective tools we can use to anchor into our intuitive knowingness. So the call to action in this blog today, is to know what inspires you and to consistently, deliberately choose to be inspired. The self discipline originally required becomes a habit and that’s where all GREAT things begin… it’s the maintenance that we begin to take for granted. And it’s that slippery slide into “stinkin’ thinkin” that can soon be upon us. So to stay present and inspired… let’s review today’s tips to help get you back into the positive, happy side of life! Sounds silly to even say it out loud… it seems so obvious… until it’s not and we find ourselves feeling disconnected. 5. Let go of the past…. 6. Embrace the silent, inner pulse of life carrying you… and let it!